Supply chain management operates at three levels: strategic, tactical, and operational. At the strategic level, company management makes high-level strategic supply chain decisions that are relevant to whole organizations. The decisions that are made with regards to the supply chain should reflect the overall corporate strategy that the organization is following. The strategic supply chain processes that management has to decide upon will cover the breadth of the supply chain. These include product development, customers, manufacturing, vendors, and logistics. Senior management has to define a strategic direction when considering the products that the company should manufacture and offer to their customers. As product cycles mature or products sales decline, management has to make strategic decisions to develop and introduce new versions of existing products into the marketplace, rationalize the current product offering, or developing a new range of products and services. These strategic decisions may include the need to acquire another company or sell existing businesses. When making these strategic product development decisions, the overall objectives of the firm should be the determining factor. At the strategic level, a company has to identify the customers for its products and services. When company management makes strategic decisions on the products to manufacture, they need to then identify the key customer segments where company marketing and advertising will be targeted. At the strategic level, manufacturing decisions define the manufacturing infrastructure and technology that is required. Based on high-level forecasting and sales estimates, company management has to make strategic decisions on how products will be manufactured. The decisions can require new manufacturing facilities to be built or to increase production at existing facilities. However, if the overall company objectives include moving manufacturing overseas, then the decisions may lean towards using subcontracting and third-party logistics. As environmental issues influence corporate policy to a greater extent, this may influence strategic supply chain decisions with regards to manufacturing. Company management has to decide on the strategic supply chain policies with regards to suppliers. Reducing the purchasing spend for a company can directly relate to an increase in profit and strategically there are a number of decisions that can be made to obtain that result. Leveraging the total company’s purchases over many businesses can allow company management to select strategic global suppliers who offer the greatest discounts. But these decisions have to correspond with the overall company objectives. If a company has adopted policies on quality, then strategic decisions on suppliers will have to fall within the overall company objective. As well as strategic decisions on manufacturing locations, the logistics function is key to the success of the supply chain. Order fulfillment is an important part of the supply chain and company management needs to make strategic decisions on the logistics network. The design and operation of the network have a significant influence on the performance of the supply chain. Strategic decisions are required in warehouses, distribution centers which transportation modes should be used. If the overall company objectives identify the use of more third-party subcontracting, the company may strategically decide to use third-party logistics companies in the supply chain. Strategic decisions determine the overall direction of the company’s supply chain. They should be made in conjunction with the companies overall objectives and not biased towards any particular product or regional location. These high-level decisions can be refined, as required, to the specific needs of the company at the lower levels which allow for tactical and operational supply chain decisions to be made. The primary and overriding goal of any supply chain is to make sure a company is delivering the orders its customers want when its customers want those orders—and accomplish this by spending as little money as possible. Only by lowering costs and improving performance can a supply chain be truly optimized. 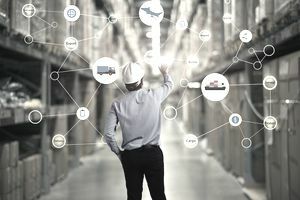 When a supply chain is managed at the operational, tactical and strategic levels—it has the best chance of helping its company reach its goals. When the strategic supply chain is optimized, a company is delivering what its customers want, when its customers want it—and spending as little money as possible getting that done. Starbucks' method of supply chain management is a great example of this.